Wassup! : Beresford & Wallace break through! For several years, my best friend John Beresford - an artist of many trades (novelist, lyricist, poet, singer, screenwriter, webmaster supreme, more) in Manchester, England, and singer/musician/composer Annie Wallace, also in Manchester, have been creating songs. As they became more serious about this endeavor, John and Annie gave themselves a name that can be remembered and unlike many modern bands, one that cannot be considered too clever for its own good: Beresford & Wallace. Since they are song writer/composers - not professional singers - their goal is to sell their songs to performing singers who love their music. In order to do that, they record their songs for the pro's to sample. Established songwriters have their recorded songs (usually bare bones productions, just so the listening performing singer can hear the melody and lyrics) delivered to artists who decide whether they want to perform them and/or include them on their next album. Beresford & Wallace's first collection was Suburban Nostalgia. They kept at it, learning, re-inventing and enhancing their sound, and two years later, bravo! 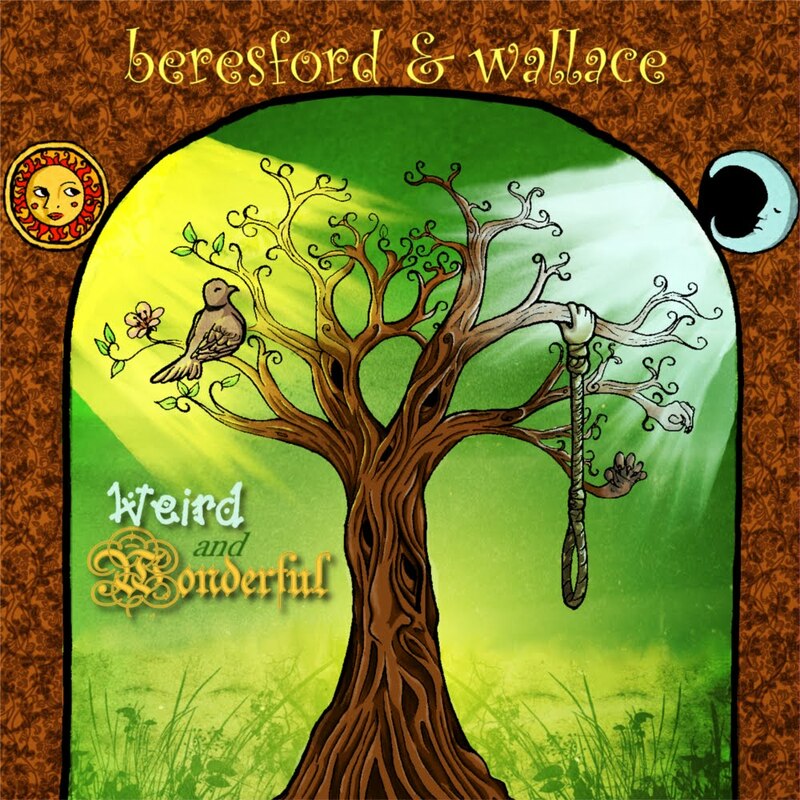 They finished Weird and Wonderful, which is now featured on iTunes and cdbaby! Weird and Wonderful is a collage of their emotional reflections of every day life - with just a touch of social criticism in one of its hits, "Spin Doctor." The impressive cover is the artwork of John's daughter Natalie - whose day job is that of a college zoology student studying ornithology - so of course there had to be a bird cast in the picture! More, Beresford & Wallace are participating in a frenzied British Facebook competition called Storm the Charts - comprising all independent and unsigned songwriters and bands who perform their own music. This was inspired as an antidote to Simon Cowell and his ubiquitous, tentacled hold on defining popular music and artists in the UK. In a recent popular vote, an independent band won a song competition over Simon Cowell's entry - in part because the Brits were rebelling against Cowell's formulaic, PR-driven approach to pop music (Don't worry, Simon, we know you'll always have people topping the charts - the push is for more diversity!). As a personal experience, I've loved watching John (and Annie) continue to pursue their passion over the years with unending fervor, whether they have all these new opportunities and accolades or not. Always learning, always improving, always striving to be better artists - and succeeding. It's always fun to get an email from John with a subject line like, "We just finished cut #11!" Or, "Annie just got a (whatever the do-dad is to enhance an instrumental sound)!" Or, "Natalie just finished the cover - what do you think?" Actually, the ! exclamation marks ! are mine. John is very British and uses them, appropriately, sparingly. Congratulations, John and Annie- wha-? Oh! Of course! I mean Beresford & Wallace!